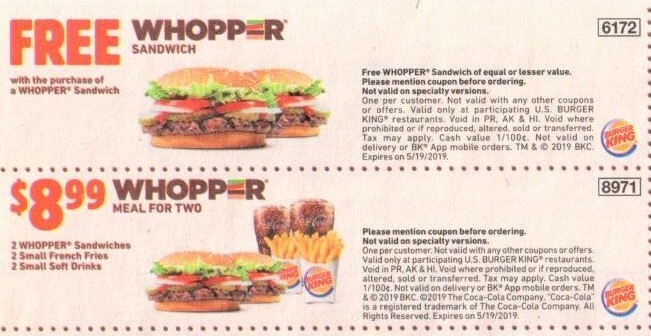 Free Whopper Sandwich with purchase of a Whopper Sandwich. Code: 6172 At participating locations. Not Valid in PR, AK, & HI or outside US.